This school loves running and thinks that every school should have a running club like theirs. 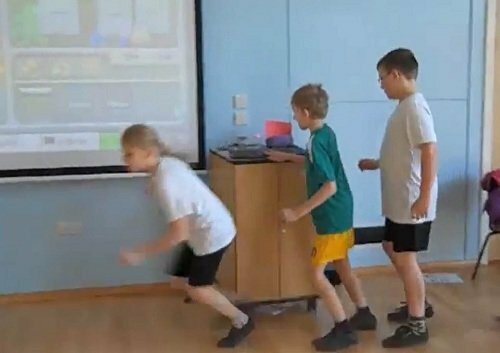 The idea behind the device that Norton Primary has created is that it makes it easy to time laps and upload the results of each session to a special website for everyone to view. At the end of each lap, the runner taps the Raspberry Pi with their tag, which logs their time. The idea is for runners to view their time and have a little bit of friendly competition with each other. The panel of judges include Rory Cellan-Jones, BBC Technology Correspondent; Eben Upton, the director of the Raspberry Pi Foundation and Alan Middleton, CEO of PA Consulting Group.